Abby always knew he was a good guy. She just didn’t know how good. 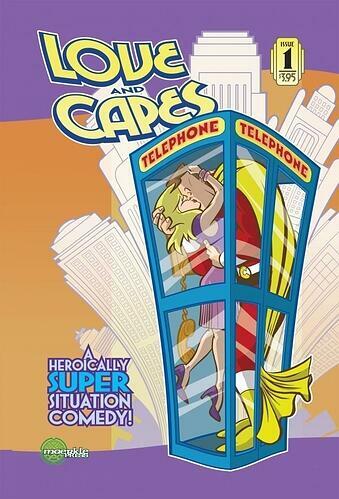 "Love and Capes" is a heroically super romantic comedy situation comedy in comic book form from Thom Zahler. "I’ve always liked superheroes, and I’ve always liked romantic comedies," says Zahler. "It was kind of a peanut butter and jelly moment. The ideas just started flowing after that." Zahler says that he was a fan of the cancelled "Lois and Clark" TV show. "It had its moments, for sure. But I found that I got bored whenever Superman showed up. Maybe it was that they didn’t have a handle on the superhero elements, or that the effects budget always showed. But the Lois and Clark moments were great. A friend of mine and I decided the best episode ever would have been the two of them locked in an elevator, and he can’t get out to change." So "Love and Capes" is two characters in an elevator? "Not exactly. But most of the actual super-heroics take place off-camera. I think it’s important to treat the hero stuff seriously. I figure it’s kind of like ‘Friends’. Ross was a palentologist, but you rarely saw him palentogate, so to speak. So while Mark is the Crusader, you don’t see him do super-heroics very often." Can you write a whole super-hero book sans all the super-heroics? "Absolutely. I figure a super-hero/average Joe (or JoAnn) relationship is like dating a rock star or a model. There’s a lot of conflict between those two lifestyles. That conflict’s the heart of the book. How do you deal with your boyfriend when he’s walked on the moon without a spacesuit and dated Wonder Woman? And, conversely, how do you have a normal relationship when you might get called away to save the world? There’s a lot of funny there. I intend to find it." 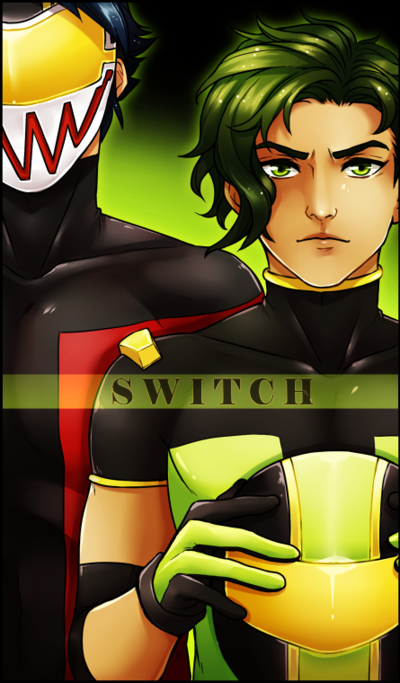 Switch is a superhero, but he doesn't enjoy it. Between the struggle to uphold his mother's legacy and dealing with the hassle of being a celebrity hero, he feels pretty bad about the whole job. Things are going as well as can be expected until events surrounding the release of a new technology start to change everything.